Small and lightweight, the Calisto 600 series speakerphones provide professional-sounding audio wherever you touch down. Looking for anywhere conferencing? The Calisto 600 Series offers two options. The Plantronics Calisto 620 is a portable wireless UC speakerphone that instantly transforms your laptop or smartphone into a premium-quality conferencing device. 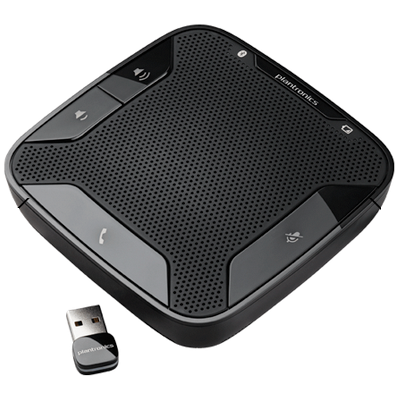 The Plantronics Calisto 610 is a corded USB speakerphone for plug-and-play conferencing convenience.